Please log in, or sign up for a new account and purchase a subscription to continue reading.To continue reading, please purchase a subscription. Already a subscriber but having difficulty logging in? Please contact web@mountaintimes.com. To continue reading, please purchase a subscription. Already a subscriber but having difficulty logging in? Please contact web@mountaintimes.com. This service allows you access to our paid content for the duration of your subscription. Questions? Please contact web@mountaintimes.com or 828-264-6397. Sunny. Warmer. High 67F. Winds NNW at 5 to 10 mph..
Aspen, one of Grandfather Mountain’s resident Western cougars, was a favorite among visitors to the Linville nature park, often heard purring and vocalizing to his keepers and those who met him. Due to illness, Aspen was humanely euthanized Monday, March 25, at the age of 15. Aspen arrived at Grandfather Mountain when he was three months old in 2003. His playfulness and feisty nature made him a hit among the park’s habitat staff. According to Grandfather Mountain’s habitat staff, no matter where Aspen was in his habitat — even a tree — as soon as he saw his keepers, he would light up and start calling to them immediately. 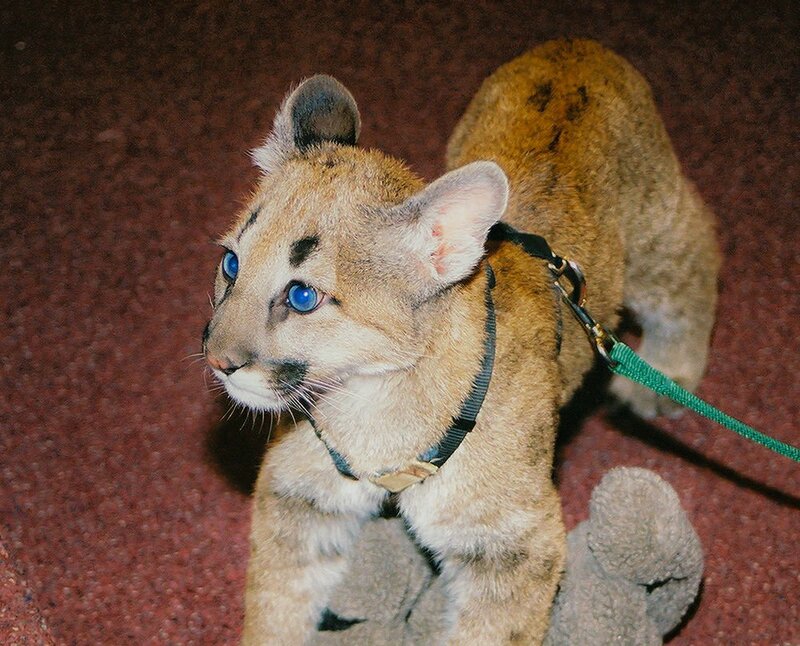 Aspen, Grandfather Mountain’s late Western cougar, had striking blue eyes, which most cougar cubs exhibit at their young age but lose in adulthood. He, however, retained them, along with a special fondness for his keepers and other visitors. LINVILLE — Aspen, the Western cougar who had lived at Grandfather Mountain for almost all of its life, died March 25 at the age of 15, the park’s nonprofit owners announced. “According to habitat staff, Aspen grew increasingly unresponsive following a weekend tooth-removal surgery, which was also intended to diagnose some other ailments,” the Grandfather Mountain Stewardship Foundation stated March 26. The park said that Aspen lived two years longer than than the average lifespan of a Western cougar in the wild. According to the GMSF, Aspen was born June 22, 2003, at Rocky Mountain Wildlife Park in Pagosa Springs, Colo. Having recently lost an elderly cougar, the GMSF agreed to adopt Aspen three months later. “Upon first sight, Aspen immediately began stealing the hearts of everyone he came in contact with, which he continued to do every day for the rest of his life,” said Christie Tipton, Grandfather’s chief habitats curator. Since Aspen was so small upon his arrival in the Western North Carolina High Country, he could not safely reside with his adult cougar counterparts in the main habitat, living in a special outdoor holding area made specifically for him, the park said. “Aspen spent his cub-hood days playing with toys, pouncing on keepers, chasing the cats, nursing on blankets and fleeces and licking his keepers’ heads — especially Pope’s, who served as a habitat keeper at the time,” the GMSF statement said. Eventually, Aspen was moved to the cougar habitat, which GMSF said he shared with Sheaba and Nikita, both of who have since passed away. Aspen is survived by Logan and Trinity, a sibling pair of Western cougars found orphaned as cubs in Idaho, which Grandfather Mountain rescued in 2016 with the generous support of Bob and Susan Wilson. Copyright © 2018 by Mountain Times Publications. Digital or printed dissemination of this content without prior written consent is a violation of federal law and may be subject to legal action. A weekday morning newsletter with a list of local news, sports and community headlines.